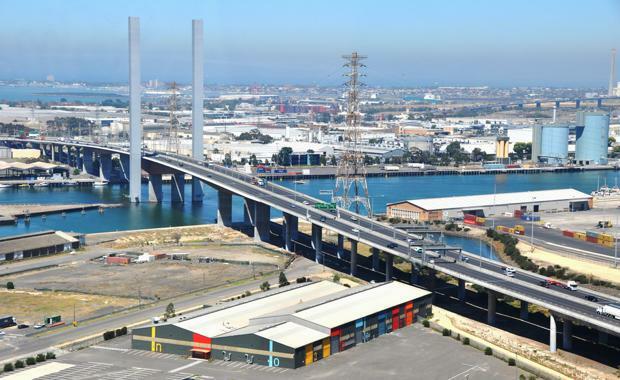 Industrial leasing in Melbourne’s south-east is at a decade high, quelling expert opinion that the market is mired in a post auto industry downturn however much of the increase is due to tenants seeking business efficiencies through consolidation. According to research from Savills Associate Director Research, Victoria Monica Mondkar, there were 404,497 square metres of industrial accommodation (>2000 square metres) leased in the south-east since June 30. Ms Mondkar said the total was up on the year prior (252,604 square metres) and up on the 10 year average (230,498 square metres), while pre-commitment activity accounted for 179,667 square metres, also a 10 year record. She said the average monthly leasing total of 33,708 square metres had continued into July and August with a further 84,962 square metres leased at more than 42,000 square metres a month confirming the trend. Savills Notting Hill office Director Lynton Williams said at first glance the figures indicated the industrial market was faring better than expected in challenging times, however further analysis suggested the key driver had been around a business efficiency dividend. "Leasing in the 12 months to June is not far short of double the 10 year average and that is great news for a supposedly soft market, however we need to keep in mind that pre-commitments are also at a decade high. "Tenants are consolidating their sites to return businesses efficiencies and that is driving the pre-commitment market. At the same time those tenants and others are taking advantage of some favourable rental deals available and that is also driving pre-commitments along with new leases for existing buildings,’’ Mr Williams said. Mr Williams said there had been a noticeable uptick in enquiry over recent months and that had translated into new leases. He said he expected pre-commitments would continue to play a major part in leasing over the remainder of 2016.
Business consolidation has driven an increased demand for large sized industrial space with 17 of the 47 leases signed in the 12 months to June above 10,000 square metres, or 70 per cent of the leased space. Ms Mondkar said wholesalers had dominated leasing with 43 per cent of the total while Transport and Logistics (18 per cent) and the Manufacturing/Engineering (27 per cent) sectors together made up the bulk of the remainder of leases. "The data clearly shows a shift in the south-east to wholesale retailing and logistics as the Victorian economy continues the trend away from its formerly heavy reliance on manufacturing,’’ she said.